As one would expect to find in this part of the world, vodka is essentially the Belarusian national drink. Local brands are inexpensive and generally very good. Three to watch out for are Minsk Kristal (Минск Кристалл), Belalco (Белалко) and Bulbash (Бульбашъ). For men, knocking back ice-cold shots in one is considered the correct way to drink. Mixing vodka is looked on as being somewhat unmanly. Belarusian beer comes in all shapes and sizes from the mass-produced brands such as Krinica (Криница) to the more interesting ales such as the live Beaver Dark (Бивер Темное) and the light Lidskoye Beloye (Лидское Белое). Minsk has one or two microbreweries worth investigating. See the Nightlife section of this guide for more information. The choice of imported beers, wines and spirits is fairly good, although prices are high, especially so for imported wines. 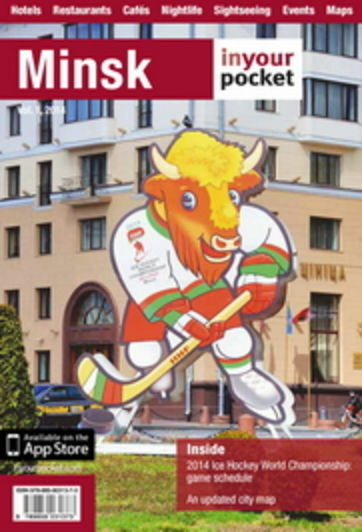 The streets of Minsk are among some of the safest in Europe, although that shouldn’t stop visitors from exercising caution as they would in any other large metropolis. The city is policed by an armed militia who effectively do the work of an ordinary police force and who, when we’ve needed them, have been the epitome of courtesy. Having said that, people should be careful around any public demonstrations. The best option in such circumstances is to stay well away. The rules governing what you can bring in and out of Belarus get increasingly complicated the more people you ask. To the best of our knowledge, the current situation is that non-residents can import, tax free and undeclared, a maximum of US$10,000 in cash, one litre of distilled alcohol, 200 cigarettes or 200 g of tobacco, five pieces of jewellery, one watch, one video-recording or video-playing device, three items of leather or fur clothing and four tyres (surplus to the ones attached to your car if you’re arriving by road, we assume). When leaving, you can take out up to 500 g of gold and 5kg of silver. Anecdotal evidence also suggests that you should avoid trying to take out icons, antiques or any works of art without the correct paperwork. For more information see the State Customs Committee website at www.gtk.gov.by/en. There’s a long way to go before Minsk and the rest of Belarus is equipped to deal with disabled travellers. All new and renovated buildings must incorporate wheelchair-access into their design, and the capital’s newer buses and trolleybuses have low entries for wheelchair users. Belarusian electricity flows out of standard European two-pin sockets at 220v AC, 50Hz. Adaptors are not easy to find, and bringing your own is advisable. Like the citizens of the United States, the Belarusians consider the floor at street level to be the first floor, and so on. Belarusian is an East Slavic language similar to Russian, is written using the Belarusian Cyrillic alphabet and is spoken by less than 40% of the country’s population. Both Belarusian and Russian enjoy equal official status in Belarus, although Russian is by far the dominant of the two. Street signs and metro stations are almost without exception written in Belarusian. Outside of Minsk, Belarusian is more widely spoken, with Polish also used further to the west. Staff in many bars, hotels and restaurants speak at least a little English, although many menus in town remain in Russian only. At the time of going to press, Belarus is at UTC/GMT +3hrs. When it’s 12:00 in Minsk it’s 04:00 in New York, 09:00 in London, 10:00 in Warsaw and 13:00 in Moscow. Unlike most European countries, the Belarusians won’t be putting the clocks forward by an hour at the end of March. Accordingly, from then on when it’s 12:00 in Minsk it’s going to be 03:00 in New York, 08:00 in London, 09:00 in Warsaw and 12:00 in Moscow until the last Sunday of October when the first set of times will again be relevant. One thing you’ll notice immediately upon arrival in Minsk is that there’s rather a lot of people wearing uniforms and carrying guns and sticks. Police and military personnel seem to be everywhere all the time. This can be a bit disconcerting at first, but don’t worry. The most exciting authority action that you’re likely to experience is that you’ll be approached and asked to show your documents. The police will understand that you may have left your passport with the hotel for registration purposes. Unless you’ve been doing something very mischievous, the police are only likely to approach you from utter boredom. Let them have their fun. They’ve already sorted out all the crime and, well, there’s just not much left to do. The Belarusian rouble (BYR) comes in denominations of 10, 20, 50, 100, 500, 1,000, 5,000, 10,000, 20,000, 50,000, 100,000 and 200,000. Be careful not to confuse them during cash transactions. Currency exchange offices and ATMs can be found throughout Minsk. Outside the capital and the larger towns and cities, cash should always be carried. Minsk is far from being the cheap city it used to be. Choosing where to eat and drink can save considerable amounts of money, although finding a budget place to stay is almost impossible. A good night out for two in Minsk including a meal in a posh restaurant followed by drinks in a bar and a club to finish off won’t leave you with much change, if any change at all, from €100. Politics and business aside, like its neighbour Russia, Belarus is still very much visually as it was during Soviet times. Statues, hammers and sickles and many other remnants of Soviet art and architecture are in abundance, especially so in the capital. Minsk was almost entirely destroyed during WWII and was rebuilt along strict Socialist-Realist lines. Visitors looking for the ultimate Soviet-era ostalgie experience won’t be disappointed. The majority of believers in Belarus belong to the Russian Orthodox Church, with smaller communities of Catholics, Protestants, Jews and Muslims also existing. Women should cover their heads when entering a Russian Orthodox church. Belarus doesn’t disappoint when it comes to indifferent service, especially among public sector workers. As a rule, privately-owned business are much friendlier although the sort of polished service one expects to find in the sophisticated capital cities of western Europe is generally lacking here. Tipping, if deserved, is fairly common, with 10% or a rounding up of the bill considered the norm. Smoking is permitted in bars, clubs, restaurants, hotels and most public spaces although many restaurants provide a no-smoking section. Locally-produced Western brand cigarettes are available and are considerably cheaper than in the West. The residents of Minsk are some of the friendliest people you’ll ever come across. All you have to do is stand on a street corner and look confused and some affable local will probably come to your aid. Try to enter a shop through its window, and someone will promptly be on hand to suggest that you should use the door. Many younger people speak English and will be happy to give directions, read signs, take photographs, help you use the Metro and so on. While few restaurant and bar staff speak English, they’re generally very obliging. If there’s a place in town with grumpy people and bad service, we just couldn’t find it. Even the once infamous border crossing is less hostile. As for socialising, it’s very easy in Minsk. Many locals are still delighted to meet and interested to talk to foreigners. Public toilets and those in restaurants, bars etc are getting better all the time, although there’s still a long way to go in many establishments. Don’t automatically expect toilet paper. In general, M marks the Gents and Ж the Ladies. With the exception of citizens of a small number of countries, all visitors to Belarus must have a valid visa. Visas can be obtained from any Belarusian consulate abroad or in some cases through a travel agency. Visas are also available at Minsk-2 airport around the clock, although just who’s entitled to one is unclear. If there was a possibility to acquire a visa before you travelled you might possibly be refused entry. Visas issued at Minsk-2 must be paid for in cash. Visitors also require medical insurance valid for the duration of the time spent in Belarus. On arriving in Belarus, visitors are given an immigration card, which must be filled in twice. Half is subsequently taken away and the other half must be presented when leaving the country. A Belarusian immigration card is also valid for Russia if travelling onwards. There is no border control between Russia and Belarus. For more information, see the Belarusian Ministry of Foreign Affairs website at www.mfa.gov.by.